In 2006, I was fortunate to meet Lillian Africano. 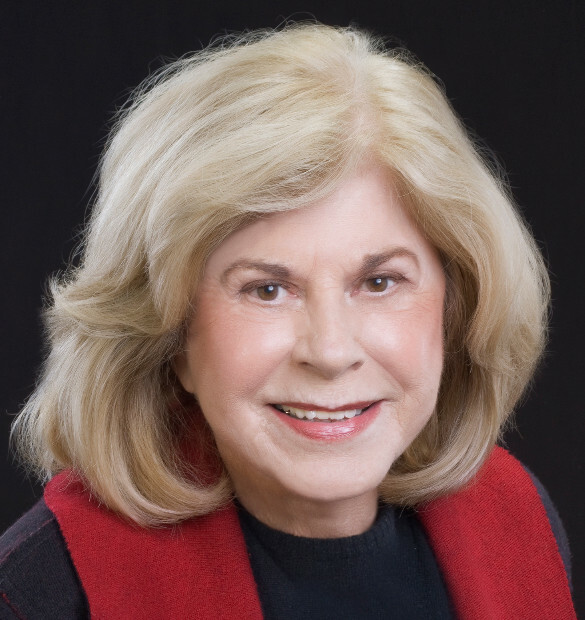 At that time, she was President of the International Food Wine & Travel Writers Association, and Lillian went on to be President of the Society of American Travel Writers. In addition, she has been an active member of other prestigious writing organizations. Her experience is impressive. Lillian has navigated the transition from newsroom to the virtual office and from typewriters to computers. For me, she has been a mentor. My focus had been business writing and incentive programs, but reading Lillian’s work helped me bring stories to life. She can tell a story so you feel like you are experiencing and enjoying it with her. MDH: Tell us about your background? LA: I’ve been a writer/editor for more years than I can remember. I’ve written 16 books including three best-selling mass market novels under a pseudonym and several guidebooks. And I’ve ghosted a number of successful books, both fiction and non-fiction. More recently I’ve been an active blogger, which is kind of fun because online work appears instantly. MDH: How did you discover your love for travel and food? LA: Even though we weren’t well off, my parents loved to travel, so I learned very early that travel was a good thing. My parents were also terrific home cooks, so I learned about good food from them as well. MDH: Are you more passionate about writing or photography? Why? LA: I love writing; photography is a necessity. LA: I just sit at the computer and start writing. Many years ago, I would labor mentally over every single sentence before I started typing. Then I attended a workshop where the speaker said there was nothing worse than a blank screen. Just get it down any old way, he said, and you can polish it up later. So that’s how I work. LA: Italy — anywhere, but Tuscany is a favorite — and France. MDH: If you could be anyone else, who would it be? LA: That’s a scary question because I can’t imagine living in someone else’s skin. MDH: What motivates you to be a luxury journalist? LA: I love luxury travel. Who wouldn’t? I love writing about luxury hotels, luxury cruises and fabulous restaurants. LA: A few years ago, I traveled to Florence and Rome, tasting (and writing about) good food everywhere I went — mouthwatering cheeses, delectable gelato and wonderful examples of Slow Food. (I also met the leaders of Italy’s Slow Food movement.) That was one of my more memorable experiences. MDH: Do you have a favorite dish or chef? LA: I have eaten a lot of truly sublime food. Thomas Keller is my favorite chef. But when I’m at home, my favorite dish is a really good pizza. MDH: How do you enjoy spending your free time? Hobbies? LA: In the summer, I head for the beach after work. My hobby, if you can call it that, is writing for my own pleasure instead of for work. MDH: The business of luxury is always changing. What are your thoughts on this? What do you enjoy about it? Where do you see it going? LA: I think the business of luxury is going to grow more rapidly than ever. Regardless of the state of the economy, there will always be people who want the best of everything and can afford to buy it. MDH: If you were stranded on an island, name one person and three items you would bring. LA: My daughter would be the companion I’d choose. I’d bring the biggest notebook I could find, a handful of pens/pencils and a water purifier. MDH: If we came to your hometown in New Jersey, what would we do? Tell us about your favorite places. LA: If you came to the area where I live now — the Jersey Shore — you would definitely go to the beach. After a day of sun and sand, you’d head out for some good Jersey Shore food, either seafood at Ollie Klein’s in Belmar or my favorite pizza at Federici’s in Freehold (Bruce’s favorite, too). And if you felt like playing for a couple of hours, there’s always the boardwalk in Asbury Park. LA: My Netbook, my medicine baggie and my iPhone. LA: I think Luxe Beat is a wonderful showcase for good writing. Thank you Lillian. You can learn more about Lillian at http://www.lillianafricano.com. I encourage you to check it out, as it showcases her blog, articles, columns, sites, magazines and a wealth of other information. Featured image courtesy of Lillian Africano. To read the Luxe Beat Magazine version of this article click on the title LILLIAN AFRICANO HAS CHANGED WITH THE MARKET AND STAYS ON TOP.